Package contains Svarog Java archive (jar). 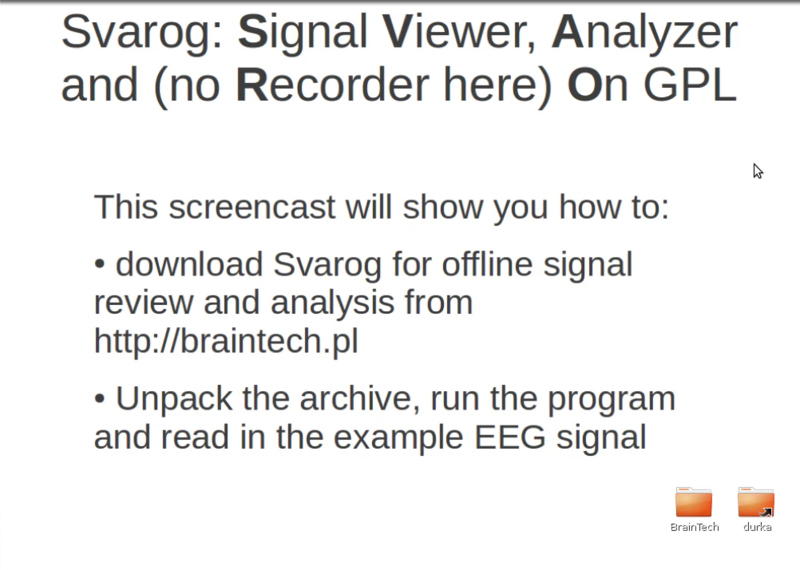 Svarog can read any data format via SignalML description; precompiled codecs include raw binary/ASCII and EDF. 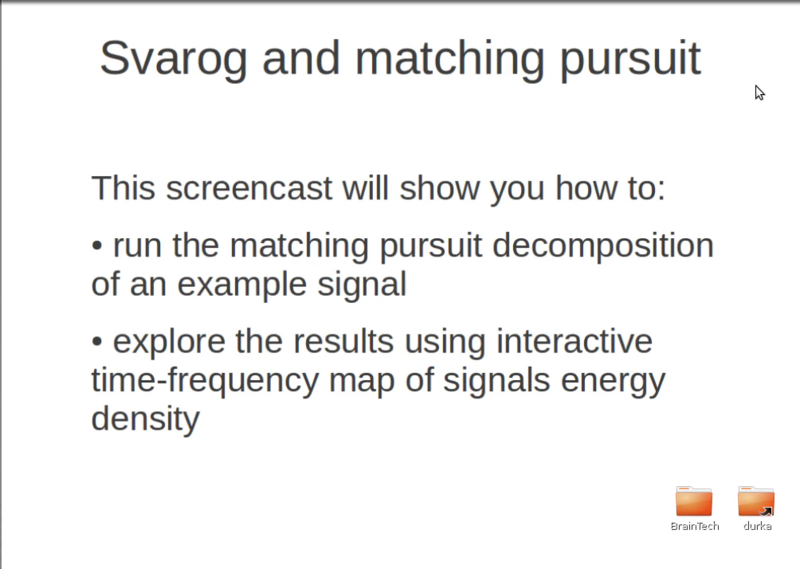 Screencasts below illustrate the way from downloading the package, through configuration and runing MP decomposition of a sample signal, to the interactive map of signal's time-frequency energy density.